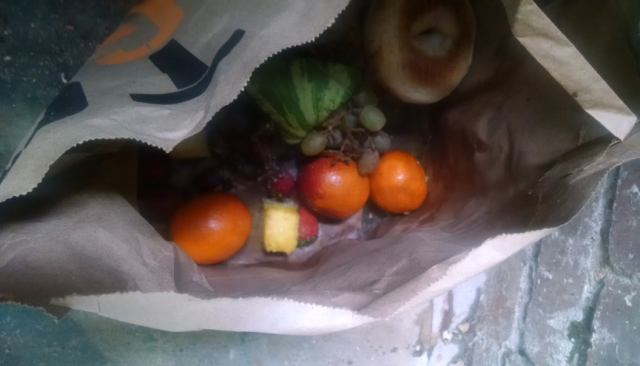 For the second time this month, someone has left a bag of rotting food (usually a variety of fruit but this time also a bagel!) by the back door of my basement apartment on the 1300 block of Monroe St. This mystery person walks passed our garbage cans, up the parking pad, and down a set of step to drop off these “packages” near our back door. My landlord suggests calling the cops but I’m pretty sure they would laugh me off phone since this probably only counts as littering.